There are multiple ways you can support us​​​! Donate new or gently-used fully-functioning tablets or laptops for class activities. 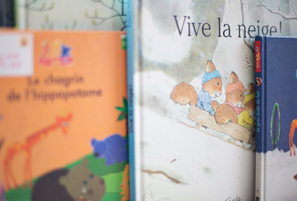 Donate like-new condition French books for our library (during announced specific collection times). These books will be added to our library or sold during our book fairs. Don't forget to add Education Francaise Greater Seattle as your charity on Amazon Smile!